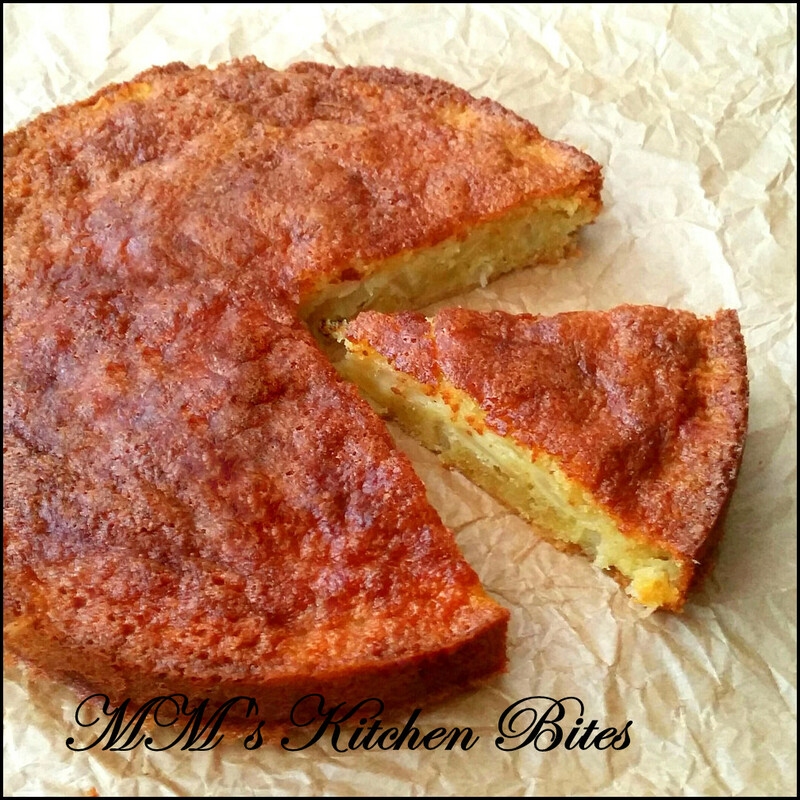 MM's Kitchen Bites: French Apple Cake...let's keep the doctor away!! Heavily butter an 8 or 9 inch springform pan and place it on a baking sheet. Wash, peel, core the apples and then dice them – about 1 inch long pieces for people who like/love cooked apples whereas ½ inch long pieces work better for those who don’t! Toss the apples with ½ tsp of vanilla extract and then 1tbsp of flour. Keep aside. In a separate bowl, whisk the eggs till foamy. Add in the sugar, rum and vanilla extract and whisk well for a couple of a minutes. Stir in half of the flour mixture, and when it is incorporated, add in half of the melted butter, followed by rest of the flour and the remaining butter, mixing after each additions. Gently fold in the diced apples until they’re well-coated with the batter. Scrape the mixture into the prepared pan and smooth the top a little with a spatula. 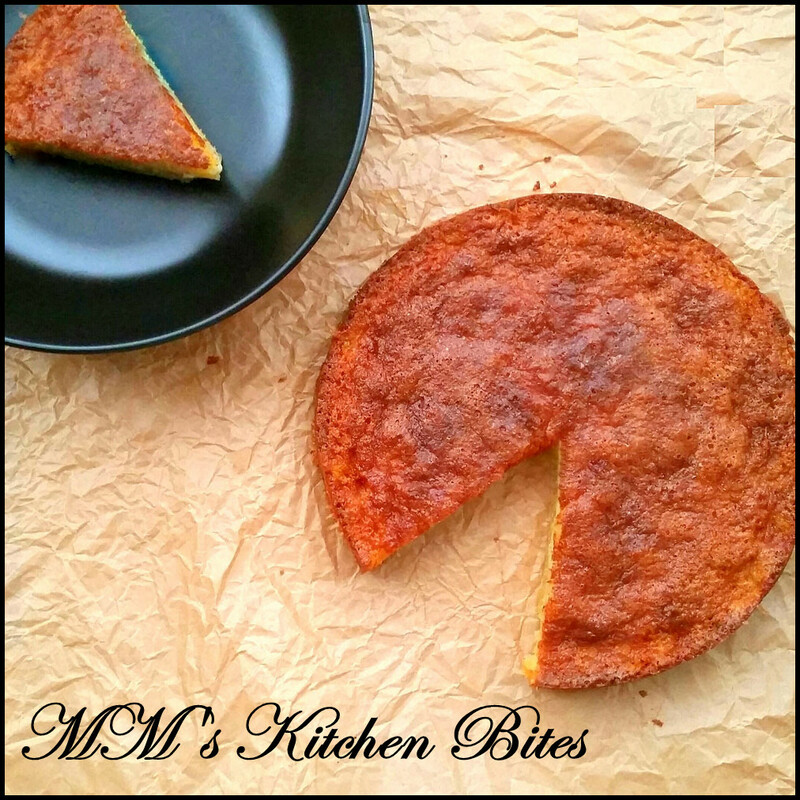 Place the baking sheet into the middle rack of the oven and bake for 50 minutes to 1 hour, or till a toothpick inserted in the centre of the cake comes out clean. Let the cake cool for 5 minutes. Run a knife around the edge of the pan to loosen the cake from the pan and carefully remove the sides of the cake pan, making sure no apples are stuck to it. Best served warm by itself or with a dollop of vanilla ice cream. Great at room temperature as well. According to David Lebovitz, the cake will keep for up to 3 days covered but I have never had the chance to find out! !